Annotated Bibliography for DML – Pro-Ana Sites: Beneficial or Detrimental? Arroyo and Harwood conducted two studies to evaluate how “fat talk” influences body satisfaction, depression, pressure to be thin and self-esteem. “Fat talk” is defined as the words we express about both our own and other’s bodies.. Study one found that “fat talk” contributed to body weight concerns and mental health problems. Study two found that fat talk correlated with a higher perceived pressure to be thin and a higher rate of depression. The other correlation that both studies found was that the lower the participant’s body satisfaction, the higher the fat talk. This study also provides an interesting perspective, as previous studies focused on how the media plays a role on ones’ body image, but this study evaluates how interpersonal communications plays a role in body image. This source helps me better understand how communication can have both a positive and negative affect on body image. Arroyo and Harwood provided research that demonstrated 66 percent of adolescent girls are trying to lose weight (Neumark-Sztainer et al., 2002 as cited in Arroyo & Harwood, 2012). They also found that 50 percent of adult women have negative perceptions of how they look (Cash & Henry, 1995 as cited in Arroyo & Harwood, 2012). Arroyo and Harwood’s research on “fat talk” also helps me understand how the “fat talk” discourse constructs the ideal body image and reinforces dissatisfaction with ones’ body and weight. There is a bright side, as Arroyo and Harwood found that reducing the amount of fat talk will weaken connections with negative body image. This source applies the objectification theory to eating disordered behavior. The objectification theory believes that society’s objectification of women causes women to begin to objectify themselves. Research shows that depression is linked to a lower body image and body dissatisfaction. This research is relevant to my Digital and Media Literacy Project because this research provides a correlation between eating disorders, body image and depression. The study also helps me re-evaluate how I think of my topic, as the results show that what we say is much more important than what we hear. The study found that saying “fat talk” contributes to depression and perceived pressure to be thin, but hearing the comments has no correlation. The research on “fat talk” is important as it relates to communications research, as it helps us understand that what we say has more of an impact than what we hear. Arroyo and Harwood provide research that influences my perspective on objectification as the results of their study indicate that women are influenced more about their own self-objectification than objectification that society places on them. However, the objectification theory states that women objectify themselves because of societal expectations. Therefore, this study reveals that there is a vicious circle when it comes to “fat talk” and body image. As society places an expectation on women to be thin, they in turn place this expectation on themselves, speak negatively about themselves, which in turn makes them feel worse and demonstrate more disordered behavior. Balter-Reitz, S., & Keller, S. (2005). Censoring thinspiration: The debate over pro-anorexic web sites. Free Speech Yearbook, 4279-90. Balter-Reitz and Keller start off by stating that pro-ana sites have become the latest target for pro-censorship forces. Taylor (2005) defines pro-ana as anorexics whom choose not to enter recovery, (as cited in Balter-Reitz, S., & Keller, S., 2005). Romanowski says that LiveJournal and Xanga are two of the most popular pro-ana sites with 2,100 and 3,400 members respectively. Additionally, at the time of this research there were 400 pro-anorexia sites and chatrooms. 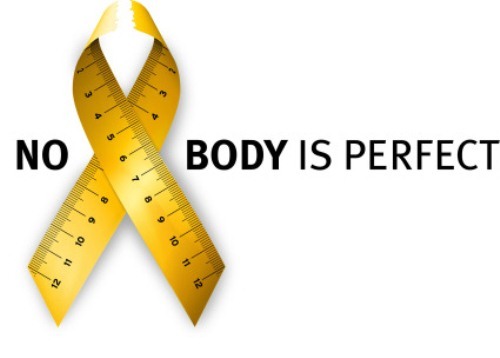 The pro-ana sites provide information on how anorexics can decrease their calorie intake, avoid detection and cope with the isolation of having an eating disorder. This article analyzes the debate between those who want to eliminate the pro-ana websites because they believe they promote eating disorders and those who want to keep them to provide a community for those suffering from the illness. Balter-Reitz and Keller evaluate the matter of policy, how to handle information that is both helpful and harmful and what the level of appropriate proof should be in establishing if speech should be deemed as harmful. Balter-Reitz and Keller analyze if Internet Service Providers (ISPs) should have the power to limit speech. They also looked at how the First Amendment should apply to information that is not easily labeled, as it can be helpful and harmful. Balter-Reitz and Keller provide compelling research that demonstrates that the pro-ana websites can actually be helpful to those suffering from an eating disorder as they provide social support during a time of loneliness and a more personal voice than treatment sites. There are five areas that Balter-Reitz and Keller concentrate on to demonstrate the value that pro-ana sites have: (1) an ability to provide emotional support, (2) a forum that allows the retelling of personal stories, which is an essential part of recovery, (3) an ability to for participants to confide in a safe environment when they may not be ready to divulge to friends or family, (4) links that enable greater access to health information and (5) an ability for the participants to build relationships with anonymity. One compelling argument that Balter-Reitz and Keller make is “One reason that pro-ana web sites have found such an enthusiastic audience is that they allow users to find the type of information they need, rather than what authorities tell them that they need,” (p. 88). This is helpful information, as it explains one of the reasons why those with eating disorders visit pro-ana sites rather than formal treatment sites. What I found most compelling is the research from Balter-Reitz and Keller who found that interactive tools, such as chat rooms, discussion boards, graphics, and real world scenarios, encourage emotional and social support. Their research supports the media richness theory. Balter-Reitz and Keller state that the rich media on the pro-ana websites, including picture galleries, diary entries and interactivity, are a model for effective Internet communication. In fact, Keller, Rosenthal, L. and Rosenthal P. discovered that the eating disorder treatment sites have been advised to model their sites after the pro-ana sites to “improve communication among their target audience,” (as cited in Balter-Reitz, S., & Keller, S., 2005). What I found least helpful to my area of research is their focus on censorship. They evaluated if Internet Service Providers (ISPs) should have the power to limit speech. They also looked at how the First Amendment should apply to information that is not easily labeled, as it can be helpful and harmful. Carr states that the Internet has not only changed the way we read, react and respond to information, but it has also changed the way our brains are wired, resulting in a decreased attention span and an inability to “read or absorb in the web or print” (p. 7). Carr provides several examples of how tools become an extension of ourselves. The first example is of the writer, Nietzsche (1882), who began writing with a mechanical writing ball in 1882. Nietzsche found that the machine became a part of his writing. The second example he provides is how monkeys begin to view the tools that they use to reach food and other objects become as an extension of their hand. The third example that Carr provides is from researcher V.S. Ramachandran, who heads the Center for Brain and Cognition at the University of California at San Diego. V.S. Ramachandran studied a teenage boy who lost his arm in a car crash. He asked the boy to close his eyes as he touched him on different areas on his face. V.S. Ramachandran discovered that when he touched a space under the boy’s nose, the boy felt it on his left pinky. The boy’s brain map was in the process of being reorganized. This shows the brain’s plasticity and the ability to rewire itself. “Plasticity,” says Alvaro Pascual-Leone, a top neurology researcher at Harvard Medical School, is “the normal ongoing state of the nervous system throughout the life span,” (as cited in Carr, 2011, p. 31). Carr helps me understand how digital media influences the way we think and respond to text through his research. Carr states that the way we read and process information on the Internet is completely different than how we read and process text in traditional print. Carr believes that the Kindle creates what an Atlantic author describes as “technology-induced ADD,” (as cited in Carr, 2011, p. 222). Carr compares our allure to the Internet with the compulsion one feels when addicted to a substance. Carr says that he suffered symptoms similar to withdrawal when he dismantled his online life to right a book, “my synapses howled for their Net fix,” (p. 199), he says. Carr also compares the Internet’s lure to that of a rat receiving positive reinforcement for specific behaviors. The constant source of intellectual nourishment keeps us coming back. This research will contribute to my Digital Media and Literacy Project as it helps me better understand how the Internet contributes to how we communicate. Individuals now expect to be engaged more fully with content. This is a key component of the Media Richness Theory. Readers no longer have the patience to read a book from cover to cover. Just as the Hansen Writing Ball technology influenced Nietzsche’s writing in 1881, the Internet technology has influenced the way books are written and read. In 2007 the three top-selling Japanese novels were written exclusively on mobile phones. Reader preferred the short, simple sentences used with cell-phone books, over the longer, complex sentences in novels. The Internet has also caused our technology-induced Attention Deficit Disorder (ADD), which overtaxes us and reduces our cognitive ability. Carr states that our brain’s cognitive load is the information flowing into our working memory and we are unable to retain information or make connections between new information coming in when our brain is overloaded. When we are overtaxed we find “distractions more distracting” (p. 125). Carr’s research helps me understand how the Internet has introduced a new normal. Eichkorn (2008) evaluates 490 postings to analyze the social support on discussion forums, including the type of social support provided, strategies used to solicit support, and the top five Yahoo! eating disorder discussion boards. Eichkorn categorized the messages from the eating disorder groups into the following categories: informational, emotional, network, instrumental and esteem. The results find that information support is the most frequent, with 29.7 percent of the responses. Out of the informational responses, Eichkorn uses research by North (1997) as the basis for her categorization, which identifies the five strategies that individual’s most typically use to try to obtain support in social circles online. These include: self-deprecation, shared experiences, information, personal success and extreme behavior (as cited in Eichkorn, 2008). Eichkorn found that 51.9 percent of the responses were shared experiences, followed by requests for information (25.4 percent). Only 1.1 percent of responses were statements of extreme behavior. The primary theme of the responses was positive affect, which means that the members are providing encouragement and feedback to another member. Eichkorn’s research helps me better understand this issue, specifically because she evaluates how “computer-mediated communication allows individuals with eating disorders to solicit feedback and provide comments with anonymity,” (Eichkorn, p.68). Through evaluating the categories of comments Eichkorn defined in her study, I am better able to understand how those with eating disorders use computer mediated communication to connect with others. Those suffering from an eating disorder are able to make connections with others experiencing a similar struggle and not only connect emotionally, but through information as well. Eichkorn found that the primary purpose of these discussion forums is to share information and provide a solution to a common problem experienced by one with an eating disorder in a positive environment. While the individuals find the discussion forums therapeutic, they don’t use the forum primarily to recall symptoms of binging, purging and starvation (13.3 percent) or discuss the cultural pressures to be thin (1.2 percent). They focus on the “positive affect” (19.6 percent) which includes examples such as, “keep your chin up, you are going to live a long and productive life!,’ (as cited in Eichkorn, 2008). This demonstrates that the majority of the discussion forums and posts encourage support and recovery rather than prolonging the eating disorder. Eichkorn’s research surprised me, as she found that informational support grounded in problem solving was the most frequent. I would have hypothesized that emotional support would have been more frequent, followed by instrumental. Since the majority (51.9 percent) of the comments were shared experiences, this validates how I think of my topic, as it confirms that individuals are seeking others with related experiences on these anorexia discussion boards. Additionally, it confirms that online discussion forums allow others to connect and share personal information with the comfort of anonymous. Something that Eichkorn asserts that asynchronous interaction allows those with eating disorders create and edit their communication carefully, giving them space and time to thoughtfully craft their response. Since eating disorders are about control, I can see how this communication channel is alluring for those suffering from this disease. Faber, R. J., Christenson, G. A., De Zwaan, M., & Mitchell, J. (1995). Two forms of compulsive consumption: Comorbidity of compulsive buying and binge eating. Journal Of Consumer Research, 22(3), 296-304. Faber, Christenson, De Zwaan and Mitchell examine the comorbidity of compulsive buying and binge eating. The authors note that there are several overlapping qualities between compulsive shopping and binge eating. The first similarity is that they both involve an inability to control the urge to over consume. Secondly they both have a problem with impulse control. Both groups are also similar in their demographic and psychological profile. The researchers conducted two studies. Study one focused on obese women and studied their compulsive shopping habits. Study two focused on compulsive buyers and the incidence of binge eating. The results of the two studies did suggest comorbidity between compulsive buying and binge eating disorder. Study one showed that people diagnosed as having a binge eating disorder were more likely to demonstrate compulsive buying behaviors. The results of study two found that 33.3 percent of the compulsive buyers reported binge eating several times a month. Compulsive buyers also had a more negative body image, feeling fat and having a greater fear of becoming fat. This study helped me better understand how an eating disorder can have comorbidity with compulsive buying. Comorbidity is the indication that people who have one disorder may be at a much higher risk for developing a related disorder. Both binge eating and compulsive buying involve impulse control and overconsumption. The gap in this study is that it did not provide specific research into how computer mediated communication aids in comorbidity between binge eating and compulsive buying. The Internet provides a constant stream of communication encouraging the consumption of goods: ads on Facebook, sponsored tweets on Twitter, marketing emails and goods on Instagram. Consumers are hit with a barrage of requests to consume. It would be interesting to take this research to the next level by understanding how computer mediated communication contributes to the over consumption. This source changed how I think about eating disorders, as I had previously not considered the correlation between compulsive eating and compulsive shopping. For my Digital and Media Literacy Project, I could expand upon the correlation between compulsive eating and compulsive shopping by evaluating how computer mediated messages contribute to overconsumption, either of food or goods. I receive a barrage of emails everyday from stores including Target, Amazon, Harris Teeter and Groupon. Some of those messages include advertisements for food. How do those communications result in binge eating? How do they contribute to compulsive buying? To take the research further, how does the computer-mediated communication of food advertisements contribute to the binge eating and buying of food? Through exploring this topic, it has opened by eyes to other areas of research I could pursue to better understand the topic. Harrison, K. (1997). Does interpersonal attraction to thin media personalities promote eating disorders? Journal Of Broadcasting & Electronic Media, 41(4), 478. Harrison conducted a study to understand the link between college women’s interpersonal attraction to female media personalities and their inclination for an eating disorder. Harrison’s hypothesis was confirmed and there was a positive correlation between an attraction to thin media personalities and the tendency to have an eating disorder. The study also found that there is not a correlation between body dissatisfaction and attraction to thin media personalities. The study shows that an interpersonal attraction to thin media personalities predicts disordered eating even beyond just the influence of exposure to media. Harrison examines the correlation between thinness-depicting and promoting (TDP) media and eating disorders. Harrison studied 232 female undergrad students at a large Midwestern University and surveyed them on their exposure to popular television shows featuring thin, average and heavy characters. There are several gaps in this study that I feel don’t truly help me better understand the concept. One limitation of the study is that the correlation isn’t clear whether the relation to disordered eating is because those with eating disorders are attracted to thin media personalities because they want to be like the character or if viewing the thin character fueled their eating disordered behavior. Another limitation of the study is that the researchers used real personalities, including: Tori Spelling Julia Louis-Dreyfus and Roseanne to represent thin, average and heavy body images respectively. Given that each of the characters has strong personalities, this could have influenced the “attraction” by the study participants. This study could have added more value by using unknown individuals to represent each of these categories. The study could have been influenced by a variety of factors, including how the character is portrayed, the character’s personality or the character’s clothing. Another limitation of the study is the small sample size. This problem is compounded by the fact that all participants were female students at the same Midwestern University. This is not a sample of the general population. In general, I don’t think that this particular source will help me with my Digital and Media Literacy Project. While the topic is promising and I like the idea that eating disorders could be correlated to attraction to justify the hypothesis. The correlation between eating disorders and attraction to thin media personalities exists, but it’s not clear why. I would like to understand more about the reasons for the correlation. Does the correlation exist because those with eating disorders desire to be thin, so they are attracted to thin people? Does the correlation exist because those with eating disorders want to align themselves with someone they want to be? Does the correlation exist because the viewing of the thin media personality causes an eating disorder? Do those who are more attracted to thin people have an eating disorder because of this media exposure? I have too many questions that remain unanswered after the evaluation of this study, but it does offer some interesting points for further research. McCabe, J. (2009). Resisting alienation: The social construction of Internet communities supporting eating disorders. Communication Studies, 60(1), 1-16. McCabe analyzes 12 pro-ana (pro-eating disorder) message boards to examine how members of the pro-ana groups conduct their social reality. McCabe found that the rhetoric and discourse among the members fell into one of two categories, which she defines as “positive” and “negative”. The positive interactions reinforced the eating disorder lifestyle and the negative interactions extended the negative public expression of disdaining those with the disorder. The positive interactions were used to provide humor to the eating disordered behavior, which was interpreted as humanizing and normalizing the behavior. The “positive” rhetoric also personifies anorexia and bulimia with the characters “Ana” and “Mia”, as real people; anorexia and bulimia respectively. The negative interactions are those in which the members discuss their challenges with the disease and the guilt they feel. McCabe uses Symbolic Convergence Theory (SCT) as the framework to evaluate the pro-ana websites, as this theory evaluates how individuals share a common conscious by communicating their fantasies, dreams and meanings. The bottom line of McCabe’s research is that the pro-ana sites create an environment that enables acceptance and a social reality for a group of individuals with an eating disorder that reinforces the behavior. This source helps me greatly because McCabe provides a great deal of research, including the findings that 41 percent of those with an eating disorder have visited a pro-ana site. A survey found that of those who visited a pro-ana site, 96 percent reported initially visiting to get tips about maintaining their eating disorder. Additionally, two-thirds of girls use the Internet to search for health-related information, including weight-loss advice. McCabe provided statistics from Arseniuk (2007) that found over 350 pro-anorexia groups on Facebook with over 1,000 members. Harris (2007) provided that there were also more than 8,000 pro-anorexic videos on YouTube (as cited in McCabe, 2009). The pro-ana websites have registered members that range from 10 to more than ten thousand. These statistics help me understand the prevalence of the issue. McCabe states that typically eating disorders are isolating diseases that are difficult to maintain. Because of the shame society places on those with an eating disorder, many eating disorders go undiagnosed and individuals chose not to seek help. Pro-ana websites provide a computer mediated communication vehicle for those with an eating disorder, which provides a place to interact and discuss their condition with others while keeping their anonymity. The interactivity among the members of pro-ana sites provides support, reinforcement, tips and tricks to those suffering from eating disorders, thereby encouraging the continuation of the eating disordered behaviors. I find the personification of Ana and Mia fascinating and it influenced how I think about my topic for my Digital and Media Literacy Project. Ana (anorexia) is seen as heroic, desired, untouchable and perfect. Mia (bulimia) is seen as the struggle, temptress and taskmaster. The members of pro-ana sites use Ana and Mia interchangeably as anorexia and bulimia. The personification of Ana and Mia, along with the discourse among the pro-ana site members demonstrates how they view their eating disorder not only as a disease, but also as an alternate personality. Additionally, the communication and exchange of information among the site members demonstrates how this interaction creates a new reality for them, where having an eating disorder is the norm. By using computer-mediated communication to normalize the disease the members reinforce their eating disordered behaviors. Sanford explores how individuals who are obese use blogging as a form of computer mediated social support in four ways, including enabling empathy, accountability to others, venting and advice seeking and validation of the weight loss experience. Sanford uses the media richness theory to explore how media-rich environments, such as blogs and social networks enable this social support system. Sanford says “blogging adds to the richness of computer-mediated social support,” (p.569). Sanford focuses on the morbidly obese, which Hurd (2007) defines as those who are more than 100 pounds overweight or has a body mass index (BMI) of 40 or more (as cited in Sanford, 2010). Sanford evaluated 50 obese bloggers. Through Sanford’s research he found that those who receive social support are more likely to lose weight and maintain their weight loss. Many of the bloggers didn’t feel as if they had emotional support and they felt alone in their weight loss journey prior to starting their blog. However, participants felt that they had empathy and support from the readers of their blog. Many of the bloggers felt that they had more support among their online friends than their face-to-face friends. The bloggers also felt accountability to their readers. They didn’t want to let their readers down and therefore felt more pressure to meet their weight loss goals. The bloggers also received validation on their weight loss through comments on their posts about weight loss, creating an environment of reward and recognition. This research helps me better understand how engaging with rich media encourages empathy, accountability, advice and validation among those experience issues with their weight. Obesity and anorexia are related, as they are both eating disorders in which one uses food to replace emotion. One of the most prolific areas within this research is what Sanford found around individuals using blogging as a form of therapy. Many of the bloggers said that they felt that blogging helped them vent their feelings, which was cathartic, as one of the bloggers said that blogging allowed her to air her feelings instead of ‘eating them’, (as cited in Sanford, 576). Bloggers not only blogged about their dieting successes and failures, but also other events in their life. They blogged about life’s stressors, such as divorce, layoffs and the holidays. All of these events previously could have caused overeating, but because they had their online support system, they could connect with others rather than eat. This research is compelling because it demonstrates that blogging gives the morbidly obese a rich media outlet in which they no longer feel alone in their journey. This source will help me with my Digital and Media Literacy Project because of the focus on media richens theory. provides the context that the media richness theory, initially discussed by Daft and Lengel (1984) says that written media is preferred for unequivocal messages. The core component of the media richness theory is equivocality. Equivocality is the degree in which various meanings and/or interpretations are possible. I plan to evaluate media richness theory, specifically the concept of equivocality, in my Digital and Media Literacy Project. Sanford helped me better understand media richness theory and equivocality in my area of study, as he says “the more a person desires to be understood, the more the person should turn to richer mediums,” (p.569). Sanford elaborates that blogging is a rich media that enables one to seek empathy. The combination of rich media, with a format that allows one to be anonymous, solicit empathy and garner support is the perfect format for one who is experience struggles with their weight, whether it’s obesity or anorexia. Spurgin, E. W. (2003). What’s wrong with computer-generated images of perfection in advertising? Journal Of Business Ethics, 45(3), 257-268. Spurgin analyzes the impact of advertisers creating computer-generated images to generate unrealistic human body ideals. Spurgin argues that the creation of these “computer-generated images of perfection” is unethical, as advertisers are ethically obligated to avoid aesthetic results that are produced artificially (p.266). Spurgin defines a “computer-generated image of perfection” as images that are modified by computer technology to remove unwanted traits from models to portray an ideal human body (p.260). Spurgin focuses on how advertisers have an obligation to provide relevant information about a product to provide consumers with adequate information to make a rational decision about the purchase of a product. Spurgin says that advertisements with computer-generated images of perfection place consumers in a virtual reality in which they must make a choice. The real problem, Spurgin says, is that consumers are unaware of the virtual reality in which they are subjected. This source helps me better understand the concept of body image and computer-mediated communication because it brings a new viewpoint to the ethical issue of using computer-generated images of perfection. Spurgin makes a comparison between the ethical obligations of an artist, such as Rembrandt, to not destroy his work of art, an advertiser should be ethically obligated not to destroy the natural image portraying their product. Spurgin makes several analogies to explain why advertisers have an ethical obligation to not alter an image to create a computer-generated images of perfection. The gap is that Spurgin focuses on the ethical obligation of advertisers, but doesn’t use a computer-mediated communication theory to back-up her claims. While he gets her point across, I would have preferred to understand how a communication theory supported his claims. Spurgin’s evaluation of the topic of body image and computer-generated images of perfection helps me better understand ethical issues that arise in communications. From a Digital and Media Literacy Project perspective, this topic opens my mind to other areas of possible exploration including ethical issues in computer-mediated communication. However, I was hoping to learn more about how computer-generated images of perfection affect one’s body image. Spurgin briefly touches on how these images create an unrealistic portrayal of the human body, but the focus of the research is on ethics. Spurgin does make a compelling analogy between a doctor showing a patient who is s smoker an image of his/her lungs as they exist and then altering that image using computer technology to show both healthy lungs and lungs damaged by years of smoking. This is an example of a positive use of digitally altered media to communicate a point. I think that both arguments, for digitally altered media and against it, can be used in my Digital and Media Literacy Project to better understand this topic. Taniguchi and Lee studied how witnessing “fat talk” on Facebook affects individuals’ body satisfaction. The researchers examined the differences of between both Japanese and American women. Taniguchi and Lee (2012) created a mock-Facebook profile included “fat talk” and comments from peers. This “fat talk” included statements about one’s desire to lose weight and comments from peers included words of encouragement. The findings showed that Japanese women who witnessed the thin-promoting messages reported lower body satisfaction than those who witnesses the thin-discouraging messages. The study also found that both American and Japanese women reported higher psychological well being when witnessing thin discouraging messages than thin-promoting messages. In the study Taniguchi and Lee evaluate what they refer to as Social Networking Sites (SNS), including Facebook and Mixi. I had never heard of Mixi, but according to Taniguchi, this SNS is more popular in Japan than Facebook because it allows users to express themselves in an “unobtrusive and considered way” (as cited in Taniguchi and Lee, 2012). This study outlines the cultural differences between Japanese and American participants on SNS, which greatly helps me better understand the cultural context behind this computer-mediated communication. Taniguchi and Lee state that among the differences, Japanese are much more likely to keep their posts private to only close friends, limit their friend requests and use a tool called “ashiato”, which allows users to monitor who visited their profile. According to Hall (1976) Americans are used to low-context communication (as cited in Taniguchi, E., & Lee, H., 2012). What this means for the SNS messaging is that Japanese are much more likely to be sensitive to messages that may not necessarily be directed to them. Another interesting finding is that the researchers hypothesis that viewing an image of a underweight profile owner did not change the psychological state of the viewer. This challenges previous beliefs that exposure to thin media images results in higher body dissatisfaction. What also helped me better understand this topic was the result that while Japanese women weren’t affected by the size of the body of the profile owner, they were affected by the people’s opinions of the individual’s body. The most fascinating and compelling component of this research is the cultural differences that exist with body satisfaction. For my Digital and Media Literacy Project I could further explore how eating disorders are manifested in different cultures through different communication mediums. I could also explore if some cultures promote a disordered body image through computer mediated communication channels common in that culture. I could also examine the differences between the Social Networking Sites, such as Facebook and Mixi, to better understand how the communications on the two sites result in disordered body image. Additionally, Taniguchi and Lee use Social Information Processing (SIP) Theory to evaluate body-related conversations. I will use the SIP Theory to examine the correlation between eating disorders and computer mediated communication. The SIP Theory looks at how others adapt their attitudes based on the social context. While the SIP Theory has primarily focused on job-related contexts, Taniguchi and Lee (2012) extend this theory to SNS, which is helpful for my Digital Media and Literacy Project. Turkle, S. (2011). Alone Together: Why we expect more from technology and less from each other. Basic: New York, NY. Turkle expresses that people are less connected now more than ever even though we have the illusion of connection with technology tools. As the tagline says, “We expect more from technology and less from each other,” (Cover). Individuals speak about how they shy away from using the phone because “its real-time demands make too much of a claim on attention,” (p. 167). Turkle interviews many individuals, from students to professionals, to reveal why they choose digital channels over traditional mediums (phone and face-to-face). The research shows that people of all ages and backgrounds are migrating to digital communication. Some feel that it is an interruption to call someone versus sending a text. Some feel that the phone takes up too much time, while text allows one to quickly get to the point. Overall, Turkle’s research points to a society using new technology to create a new normal. Turkle believes that this new normal contributes to a life with less connection. She says, “moments of more may leave us with lives of less,” (p. 164). Turkle discusses how asynchronous communication allows others to reflect and edit a communication prior to submission in her chapter on “No Need to Call,” (p. 182). Turkle provides examples of individuals who abhor talking on the phone, as they view it as an invasion on their private time. Asynchronous communication allows the sender and the recipient to be more thoughtful in their communication and response. Alone Together will help me form my argument for my Digital and Media Literacy Project because of the research on online confessions. Turkle interviews individuals who use online communities to connect with others. Molly, a fifty-eight year-old librarian recounts how she doesn’t feel connected with others in her community, but she feels that connection online. She says, “Online I have found some good people,” (p. 238). Turkle says that many people treat online confessions as therapy, but she argues that an online confession isn’t the same as therapy because it externalizes our problems instead of allowing us to look at them. Turkle also challenges the use of the word “community” when referring to virtual places. “Communities are places where one feels safe enough to take the good and then bad,” (p. 238). Turkle argues that one cannot define an online space a community because they only allow the “good” and they move on when “bad” occurs. The research on online communities, online confessions and feeling connected through technology will help me with my Digital and Media Literacy Project. Wang focuses on body image the potential positive effects from the exposure to a variety of media outlets. While most research on body image focuses on the negative effects of the mass media’s use of thin and muscular models, this research looks at the positive effects. Wang states that while the media can contribute to an individual’s body dissatisfaction, it doesn’t advocate unhealthy dieting or steroid use. Wang provides research from Carney and Louw (2006) who found that exposure to body image resulted in dieting and physical activity. Results from Wang’sstudy revealed that both female and male participants demonstrated a positive correlation between their intention to engage in physical activity and their self-efficacy and attitude. It also found that media exposure can have a positive impact on one’s intention to participate in physical activity and their attitudes toward attractive body image. 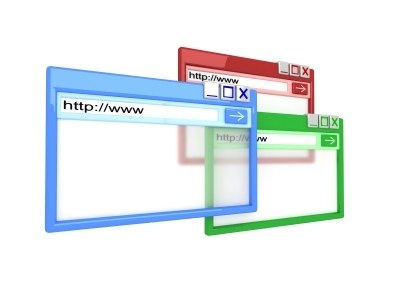 The Internet provides a computer-mediated communication (CMC) channel and social support that can be dangerous for one suffering from an eating disorder. The goal of my Digital and Media Literacy Project is to help those suffering from an eating disorder better understand both the support and danger of eating disorder websites. There are many online groups that claim to support those with eating disorders, but some of these sites are labeled as Pro-Ana, Pro-Mia and Pro-ED, representing pro-anorexia, pro-bulimia and pro-eating disorder. These sites can pose a serious threat to those suffering from an eating disorder as they member build a sense of community that is unhealthy. The members share tips and information on how to continue their eating-disordered behaviors. My goal will be to enhance digital literacy regarding the use of rich media channels and the effects on eating disordered behavior. The relevant theories to my Digital and Media Literacy (DML) Project include the media richness theory and Social Information Processing (SIP) theory. The media richness theory looks at how various communication channels, including phone, letters and memos have declining levels of richness (Walther, 2011). The core component of the theory is equivocality. Equivocality is the degree in which various meanings and/or interpretations are possible. The media richness theory states that greater equivocality requires more media richness and lesser equivocality equates to less rich media. The media richness theory (Daft & Lengel, 1984, 1986; Daft & Lengel & Trevino, 1987) also states that rich media, including teleconferencing and for face-to-face, are best for more intense interaction that is emotional or complex. Lean media is better suited for simple, straightforward communication (as cited in Wright, K.B. & Webb, L.M., 2010). The media richness theory is relevant to my research for my Digital and Media Literacy (DML) Project because media-rich environments, such as blogs and social networks enable a social support system for those with an eating disorder. The media richness theory is a “cues-filtered-out” theory, which means that since CMC doesn’t have nonverbal cues it impedes the achievement of items that involve those cues, (Walther, 2011, p.445). Since low-self esteem, feelings of inadequacy, difficulty expressing emotions and anxiety are contributing factors to eating disorders, it makes sense that those suffering from an eating disorder would use channels rich in media to express themselves (NEDA, n.d.). From my annotated bibliography, I discovered that those suffering from an eating disorder can use social networks as support system. Sanford (2010) uses the media richness theory to explore how media-rich environments, such as blogs and social networks enable this social support system. Sanford says “blogging adds to the richness of computer-mediated social support,” (p.569).. I also plan to use the Social Information Processing (SIP) theory. The SIP of CMC (Walther, 2011) is the framework used to understand relationships between others online and how the same level of connectivity can be achieved as those developed through off-line communication. The SIP theory states that when nonverbal cues aren’t available communicator’s adapt to other cues that are present in the current channel (Walther, 2011). This is particularly relevant to my area of research, as I will explore how those with an eating disorder form relationships on pro-eating disorder sites that create a new norm. As a whole, my sources help me form the scope of my Digital and Media Literacy Project because I am able to understand how the Internet creates a social support system for those suffering from an eating disorder. These sources help me understand how CMC contributes towards creating a positive social support system. One example is the research that that Sanford (2010) outlines in his study about the morbidly obese using blogging as a tool for support throughout their weight loss journey. I was also able to see how these social support Internet sites contributed negatively to ones’ experience with an eating disorder, such as McCabe’s compelling research on pro-Ana, pro-Mia and pro-ED sites. Several other sources both supported and provided a different point of view on this same topic, which is how the Internet plays a role in communications among those with an eating disorder. 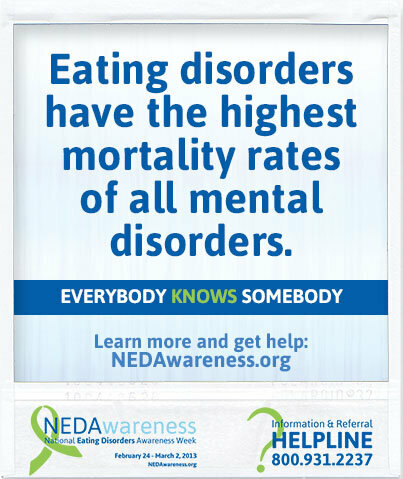 The intended audience for my Digital ad Media Literacy Project is individuals with an eating disorder. 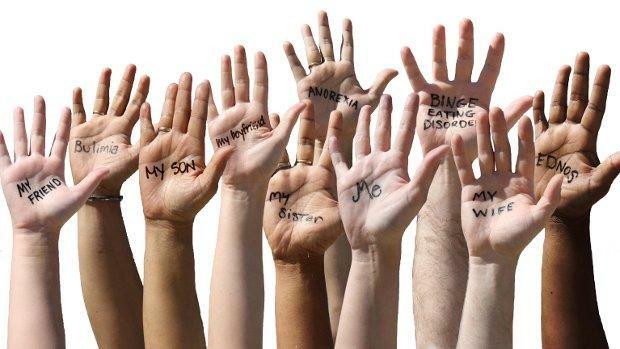 It is estimated that 24 million people of all ages and genders suffer from an eating disorder (ANAD, n.d.). This is particularly relevant for women and college students, as 91 percent of women on a college campus have attempted to control their weight through dieting and 22 percent dieted often or always. Women are much more likely than men to develop an eating disorder. This audience will benefit from my Digital and Media Literacy Project because they will understand both the benefits and detriments an online community can provide in their road to recovery. The pro-eating disorder sites can be detrimental in ones’ recovery, as they encourage and promote disordered behaviors. Through understanding both how Internet support groups can aid and impede eating disorder recovery, those suffering with an eating disorder will be armed with the information they need to obtain the right level of support. Self-efficacy. Wikipedia. Retrieved from http://en.wikipedia.org/wiki/Self-Efficacy on May 30, 2014. Walther, J.B. (2011). Theories of computer-mediated communication and interpersonal relations. In M.L. Knapp & J.A. Daly (Eds. ), The Sage Handbook of Interpersonal Communication, (4th ed.). (443-479). SAGE Publications, Inc. Retrieved from http://www.sagepub.com/upm-data/42241_14.pdf. Factors that may contribute to eating disorders. (n.d.). NEDA. Retrieved from http://www.nationaleatingdisorders.org/factors-may-contribute-eating-disorders. Eating Disorder Statistics. (n.d.). National Association of Anorexia Nervosa and Associated Disorders (ANAD). Retrieved from http://www.anad.org/get-information/about-eating-disorders/eating-disorders-statistics/. Pro-Ana Sites – Beneficial or Detrimental? These are just a few of the comments on pro-Ana discussion forums. Given that 41 percent of those with an eating disorder have visited a pro-Ana site, you may have heard these same comments before, (McCabe, 2009). For those of you who haven’t heard the term before, pro-Ana refers to the promotion of the anorexia. There are many online groups that claim to support those with eating disorders, which are labeled as Pro-Ana, Pro-Mia and Pro-ED, representing pro-anorexia, pro-bulimia and pro-eating disorder respectively. Research finds that 96 percent of individuals initially visit a pro-Ana site to get tips about maintaining their eating disorder. Pro-Ana websites provide a computer mediated communication vehicle for those with an eating disorder. The interactivity among the members provides support, reinforcement, tips and tricks, thereby encouraging the continuation of the eating disordered behaviors. While there are troves of information on the detriments of pro-Ana websites, not much research has been done of the benefits of how one suffering from an eating disorder can use this channel. But, how do we decide if there is more benefit or detriment to using this online social support system? Let’s look at the media richness theory to answer this question. Walther says that the media richness theory looks at how various communication channels, including phone, letters and memos have declining levels of richness (2011). Rich media, including face-to-face, is best for more intense interaction that is emotional or complex. Lean media, such as blogs and discussion forums, are better suited for simple, straightforward communication because of the lack of nonverbal cues, (as cited in Wright, K.B. & Webb, L.M., 2010). Since low-self esteem, feelings of inadequacy, difficulty expressing emotions and anxiety are contributing factors to eating disorders, it makes sense that those suffering from an eating disorder would use lean media that enables them to be anonymous (NEDA, n.d.). Pro-Ana websites enable a social support system for those with an eating disorder. Participants can be anonymous and engage in “weak tie” relationships, which are relationships are between individuals who communicate frequently, but who are not close friends or family (Wright and Muhtaseb, 2011, p. 145). Wright and Muhtaseb (2011) say that sharing information anonymously is particularly helpful for those “who have been traumatized by some type of an illness or disorder”, (p. 14). Balter-Reitz and Keller provide compelling research that demonstrates that the pro-Ana websites can actually be helpful to those suffering from an eating disorder as they provide social support during a time of loneliness and a more personal voice than treatment sites. Sanford, who conducted researcher on obese bloggers who lost weight, found one blogger who said that blogging allowed her to air her feelings instead of ‘eating them’, (as cited in Sanford, 576). However, these sites can also pose a serious threat to those suffering from an eating disorder as they build a sense of community that is unhealthy. McCabe’s research demonstrates that pro-Ana sites create an environment that enable acceptance and a social reality for a group of individuals with an eating disorder. By using computer-mediated communication to normalize the disease the members reinforce their eating disordered behaviors. Additionally, not all the connections that the members of these sites make are positive. Members often will put each other down as not being a true anorexic because they are not “skinny enough”. They also post pictures, often called “thinspiration” to further encourage anorexic behavior. Harrison, found a positive correlation between an attraction to thin media personalities and the tendency to have an eating disorder. There have been several accounts of girls literally “dying” to be thin as they have starved themselves to death to achieve a body that is not attainable. Today we talked about both the dangers and benefits to pro-Ana sites. Now you are equipped with the knowledge…but how you can action this information? First, I encourage each of you to use caution when visiting a pro-Ana site. If you visit a pro-Ana site, use it to connect with others and encourage recovery. Balter-Reitz and Keller discovered that several eating disorder treatment sites have been advised to model their sites after pro-Ana sites to improve communication, (as cited in Balter-Reitz, S., & Keller, S., 2005). This shows that the interactivity of the pro-Ana sites can aid in recovery if used correctly. Use posting on a pro-Ana site as a way to release your feelings. The consequences of engaging in dangerous behavior on a pro-Ana site are detrimental. And given the rise of this growing trend – With over 2,000,000 hits if you google “Pro-Ana”, it’s more important now, than ever to know how to use the channel responsibly. Knowing the how to use this powerful Computer Mediated Communication tool correctly can mean the difference between life and death. “Over the last few years I’ve had an uncomfortable sense that someone, or something, has been tinkering with my brain, remapping the neural circuitry, reprogramming the memory,” (p. 5). 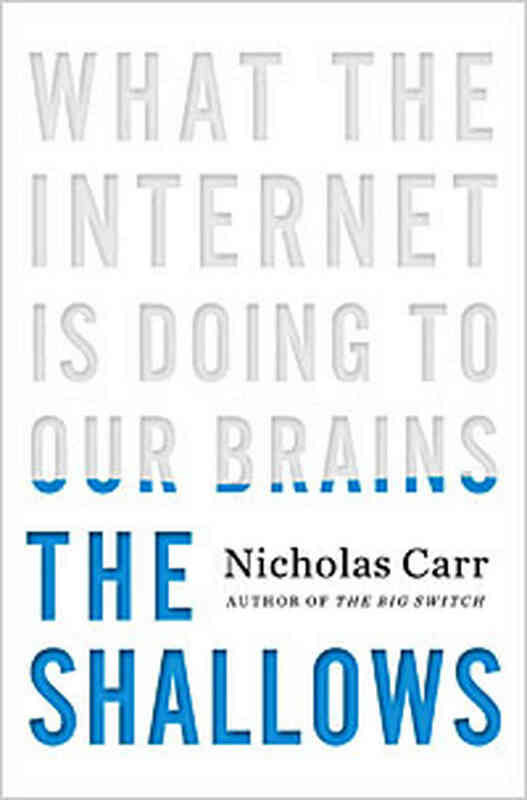 Carr (2011) hooked me at the beginning of The Shallows: What the Internet is doing to our brains by stating at the forefront that not only has the Internet changed the way we read, react and respond to information, but it has actually changed the way our brains are wired, resulting in a decreased attention span, an inability to “read or absorb in the web or print” (p. 7) and the way we process information. Carr (2011) extends Marshall McLuhan’s (1964) theories in Understanding Media: The Extensions of Man in his argument. McLuhan purported that whenever a new medium is introduced, people focus on the content not the channel (as cited in Carr, 2011). This reminds me of what I experienced at my company in 2007 when Web 2.0 was the hot topic. Executives across the company wanted a corporate blog. I would ask, “What do you want to talk about?” and the executive would have no idea, nor care about the content. My previous manager would adamantly state, “It’s not about the channel, it’s about the content. We need to first determine the content and then we will decide what channel to use,” (C. Burrows, personal communication, February 7, 2007). She became frustrated at an executive asking for a corporate blog because they were putting the channel ahead of the content. But does the channel matter? According to Carr, our focus on the content can blind us to the deep effects of the channel. He says that we often think that the technology is just a tool, but it’s not. Carr provides several examples of how tools become an extension of ourselves. 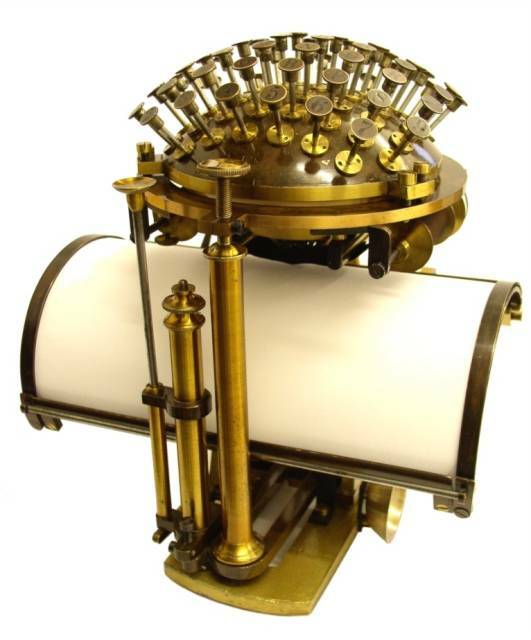 The first example is of the writer, Nietzsche (1882), who began writing with a mechanical writing ball in 1882. Nietzsche found that the machine became a part of his writing. Nietzsche said, “Our writing instruments contribute to our thoughts,” (as cited in Ihde, 2002, p.97). The second example he provides is how monkeys begin to view the tools that they use to reach food and other objects become as an extension of their hand. Carr (2011) then goes a step further to demonstrate how we not only view tools as an extension of ourselves, but our brain rewires itself based on the tools we use. The researcher, Merzenish, made incisions into the hands of animals and severed the sensory nerve. Initially the nerves in the monkey’s hands grow back in an haphazard fashion and their brains became confused. However, after a few months, something astonishing happened. The monkey’s brains rewired themselves correctly and the neural pathways corrected themselves. The most fascinating example that Carr (2011) provided was from researcher V.S. Ramachandran, who heads the Center for Brain and Cognition at the University of California at San Diego. V.S. Ramachandran studied a teenage boy who lost his arm in a car crash. He asked the boy to close his eyes as he touched him on different areas on his face. V.S. Ramachandran discovered that when he touched a space under the boy’s nose, the boy felt it on his left pinky. The boy’s brain map was in the process of being reorganized. This explains the “phantom limb” scenario we often hear about, but more importantly for Carr’s research, it shows the brain’s plasticity and the ability to rewire itself. “Plasticity,” says Alvaro Pascual-Leone, a top neurology researcher at Harvard Medical School, is “the normal ongoing state of the nervous system throughout the life span,” (as cited in Carr, 2011, p. 31). Although fossils can show us evolution of our skeletal structures, we have no physical evidence of the change in brain structure over the years. However, though what we do every single day we are changing the chemical exchanges in our synapses and we change our brains. This is the nature component of the nature versus nurture theory. We then hand down these habits to our children and reinforce them over time, which in turn modifies the structure of our brains. This speaks to the nurture component. 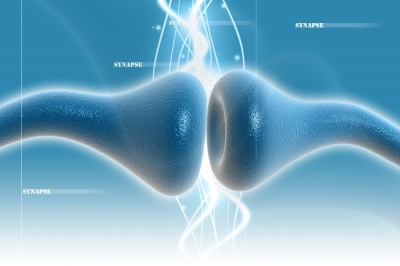 Through both nature and nurture, we have changed our brains over the years. I think we can all agree that the way we communicate has changed significantly throughout history. Think back to the time when communicating via the written word began. The earliest examples of reading and writing occur as long ago as 8000 B.C. and the first writing began by scratching on rocks. In 750 B.C. the Greeks invented the first complete phonetic alphabet. In 2500 B.C. Egyptians began manufacturing scrolls. Johannes Gutenberg left Strasbourg, Germany in 1445 and created an automated way to produce books. Carr (2011) believes that Gutenberg’s invention was the most important invention in history. Gutenberg’s printing press allowed ideas to be spread more easily, as the process of copying documents became quicker and easier. It affected the lives of people all over the world for centuries. His printing press can be credited with playing a role in the success of the Protestant Reformation (Kennedy, n.d.), the spread of literacy and contributed to the start of the Renaissance (Whipps, 2008). The next step in our evolution of literacy came in 1954 when the first digital computers came into mass production. 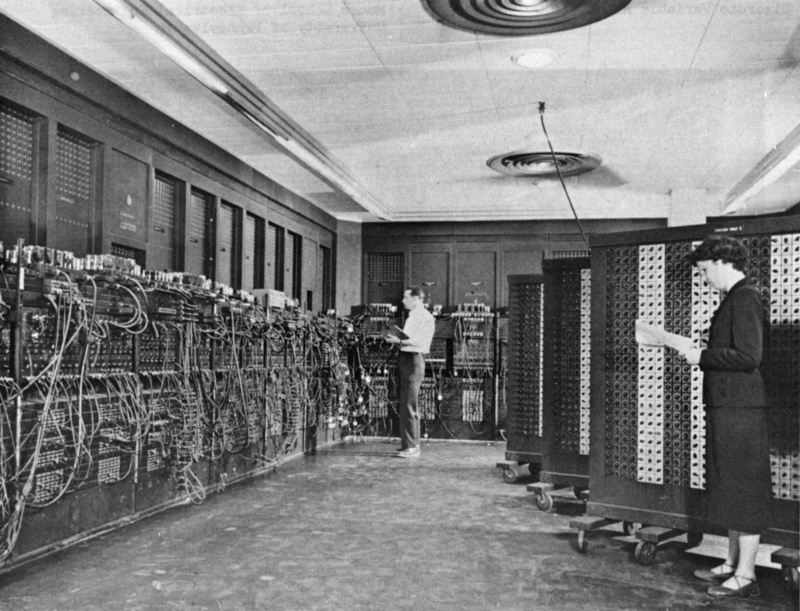 The cost of a typical computing task has decreased by 99.9 percent since the 1960s, resulting in computers advancing at an incredible speed. The Internet replicated the Gutenberg press, first undertaking the written word, then music, then video. Carr (2011) points out that the introduction of the Internet doesn’t mean that people aren’t reading books anymore. Even though information is digitized traditional media is still used. Carr states, “When old technologies are supplanted by new ones, the old technologies often continue to be used for a long time, sometimes indefinitely, (p. 89). However, Carr doesn’t think that we will continue to use traditional media as it exists today. He cites McLuhan (1964), “Traditional media is refashioned. McLuhan says in Understanding Media, “a new medium is never an addition to an old one, (as cited in Carr, 2011, p. 89)”. Does that mean that the Kindle will replace traditional books? It will, according to Charles McGrath, former editor of of New York Times Book Review. This is the first area of impact that Carr outlines. Carr (2011) states that the way we read and process information on the Internet is completely different than how we read and process text in traditional print. Carr believes that the Kindle creates what an Atlantic author describes as “technology-induced ADD,” (as cited in Carr, 2011, p. 222). Carr states that because the Kindle has an always-available wireless connection, every word of the book is considered hypertext. Further, Carr states that hyperlinked text changes the way we read, as every time we encounter a hyperlink our brain experiences an interruption in thought. When we come upon a link, we have to pause for a moment to allow our prefrontal context to evaluate if we should click on it. This interrupts us. Carr says this brings us back to “Scriptura continua”, which is when reading was a cognitively strenuous act (p. 122). I can relate to the distraction faced when reading online or on a Kindle device. In fact, I bought a hard copy of The Shallows even though I own a Kindle, iPad, iMac, MacBook Air and iPhone, all of which would allow me to read the electronic version instead. The digital version of The Shallows cost less and would be more convenient. However, I still opted to buy the hard copy. Why? Because I wanted to actually pay attention. That’s right, even before I read The Shallows, I recognized that my time and attention would be divided if I bought the book on my Kindle and this book review was too important to risk being distracted. Even though I own all of these electronic devices for reading, my bookshelves overflow with books. I have a bookshelf in my office with all of my books on writing, communications and fitness. My favorite room in my house is the one I designed for reading. My walls are lined with my favorite books; from my tattered copy of The Feminine Mystique to Bitter is the New Black to The Lore of Running, I keep my favorite books around me like a security blanket. 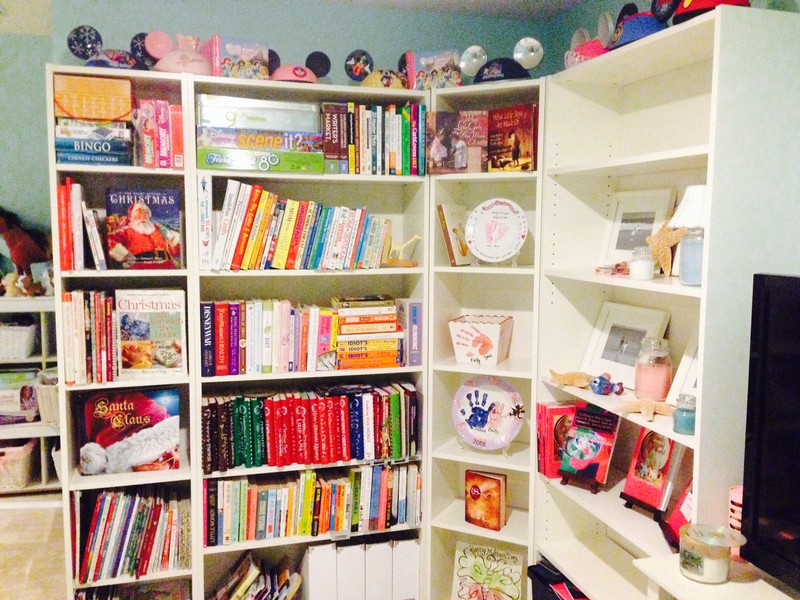 My kids have their own book corner, complete with classics, novels, history and educational books. 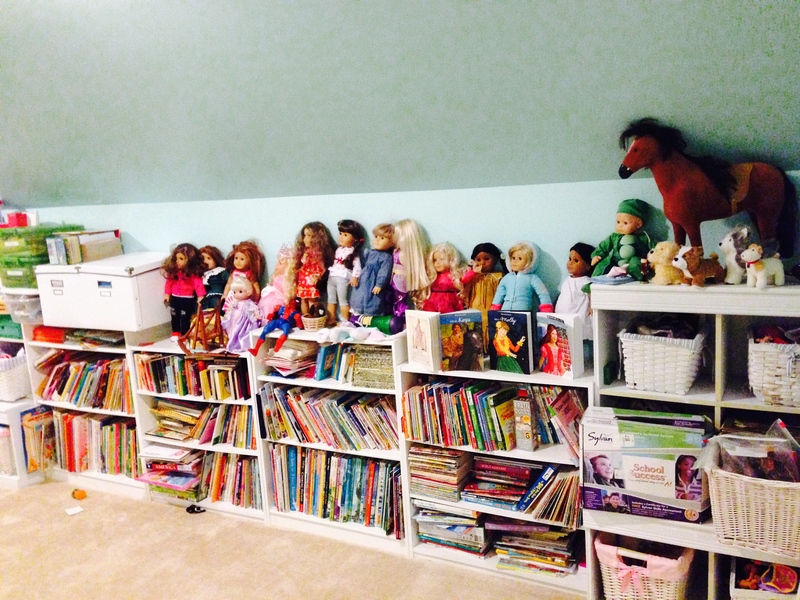 In their room, they have yet another bookshelf, which is destined to keep their favorite books to read before bed. We are a family of readers and yet, I too feel the pull away from traditional media. I sit down to read a book and I find that I long to double-click a word to find the definition. More than once I’ve swept my fingers across the page to flip to the next page. Other times I simply become bored. My brain longs to hit the “Get Mail” button to see if I have email or visit Facebook to see what my friends are doing. Carr (2011) describes this almost like an addiction saying that when he dismantled his online life to right the book, “my synapses howled for their Net fix,” (p. 199). Carr also compares the Internet’s lure to that of a rat receiving positive reinforcement for specific behaviors. The constant source of intellectual nourishment keeps us coming back. The most important benefit of this book is Carr’s (2011) clearly articulated research on how the Internet is changing the publishing industry. McLuhan predicted this issue years ago and warned that the inability to see how the medium’s form would change its content would cause problems. Many book publishers recognize that the form of a book changes its content. Take the viewpoint of senior vice president of HarperStudio, an imprint of the publishing giant HarperCollins, who says “E-books should not just be print books delivered electronically,” (as cited in Carr, 2011, p. 102). I agree with this statement as I have published five books, Candy Around the World, Culinary Duct Tape, Guilt-Free Cupcakes, Lunch, by me! and A Pet for Emberly. Four of the five books that I’ve published are cookbooks and one is a children’s book. None of them are bestsellers and I’d venture to say that none of them will be. Why? Carr’s statement sums it up best, “Changes in reading styles will also bring changes in writing style, as authors and their publishers adapt to readers’ new habits and expectations,” (p. 104). I didn’t change my writing style to meet new reader’s reading styles. Carr discusses how Simon & Schuster have begun publishing e-books that have video embedded in their pages. These “vooks” encourage jumping around and not reading in a linear fashion. Judith Curr with Simon & Schuster states how the world of publishing has changed when she says, “you can’t just be linear anymore with your text,” (as cited in Carr, 2011, p. 106). My book doesn’t have a built-in video with a visual demonstration for how you can make the perfect meringue or a link to a Wikipedia article about the history of bread making. I realized in this moment why none of my books would ever become best sellers. The publishing industry has changed significantly due to the Internet and the way our brains are wired. As readers, we now expect to be engaged more fully with the content we read. We no longer have the patience to read a book from cover to cover. Take, for example, how the publishing industry has changed in Japan. In 2007 the three top-selling Japanese novels were written exclusively on mobile phones. The cell phone books are written in short sentences with informal language. This is another example of how the technology influences writing, just as it did with Nietzsche in 1881. Nietzsche’s writing was influenced by the Hansen Writing Ball (Hansen Writing Ball) just as the authors of mobile phone books were influenced by their phone. The second area of impact is the way the Internet, which is causing our technology-induced Attention Deficit Disorder (ADD), to overtax us and reduce our cognitive ability. 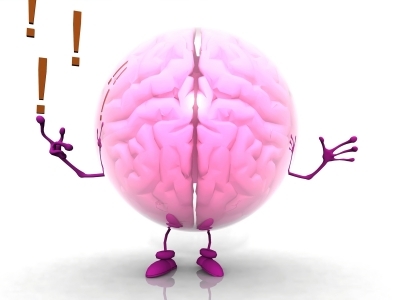 Carr (2011) states that our brain’s cognitive load is the information flowing into our working memory. We are unable to retain information or make connections between new information coming in when our brain is overloaded. When we are overtaxed we find “distractions more distracting” (p. 125). Stephen Johnson’s 2005 book, Everything Bad is Good for You concluded that reading online actually provides more intense stimulation than reading traditional print books, which is good for you (as cited in Carr, 2001, p. 123). However, Carr argues that while the research is true, the overstimulation is actually bad for us because we need to have a calm mind for deep reading. I think about this in regards to exercise. I’m an avid runner and crossfitter. Just last week I reached a point of overtraining, which is similar to overstimulation. I ran and lifted weights too many days in a row, which contributed to me feeling so weak that I fell when I was running and dropped the weight bar on my thighs during crossfit. We need to have the maximum load on our muscles to reach total fatigue for our muscles to grow. But for our muscles to properly getting stronger, we also have to give them rest. Excessive inflammation from overtraining can result in muscle fatigue, loss in muscle protein, loss of muscle mass, and reduced muscle function (Reid, M. & Li, Y, 2001). The same is true for our brains. If we constantly stimulate our brains without providing rest, we become overtaxed and our capacity for thought and memory is reduced. The overstimulation provided by the Internet contributes to our reduced brain function and memory. Our technology-induced ADD lends itself to our diminished patience for engaging in only a single task at a time. At Xerox’s famed Palo Alto Research Center in the mid-1980s they presented the new operating system to a group of computer scientists to demonstrate how many windows could be open at one time, allowing one to multi-task. Many of the individuals in the room asked why one would want to be interrupted in the middle of a task to answer an email. What a shift in perspective just from the mid-1980s to now. We are now expected to be online all the time. If I don’t respond to an email within 10 minutes my manager sends me an instant message and asks me to check my email. We aren’t allowed the luxury of thought. There are two points that Carr (2011) makes that I would like to respectfully critique, as I don’t believe them to be true. The first point that Carr makes that I don’t agree with is “when we’re online, we’re often oblivious to everything else going on around us,” (p. 118). I disagree with this statement, as I think that we aren’t necessarily oblivious, but our attention is spread among many different things. In my opinion, it’s counterintuitive to say that we are oblivious to everything around us when we are online because that infers that our attention is hyperfocused on the Internet and therefore we are solely concentrating on that content. I think on the contraire, our attention is not on what is going on around us or what is on the screen, I think we are partially paying attention to many things. Think about the mother who is looking at her phone while her child is telling her about his day. She half-listens, nodding and responding at certain points, but she is also half-paying attention to what is on her screen. While we are not oblivious, our attention is divided. I also disagree with Carr’s statement “It’s possible to think deeply while surfing the Net, just as it’s possible to think shallowly while reading a book but that’s not the type of thinking the technology encourages and rewards”, (p. 116). While I do agree that it’s possible to think shallowly either online or with a traditional medium, I don’t think that the Internet encourages and rewards thinking shallowly. The real problem, from my point of view, is that writing for the Internet isn’t geared towards engaging and understanding, it’s designed for one purpose…making money. When one writes for the web, they are writing for Search Engine Optimization (SEO), trying to trick Google algorithm to deem their content worthy. The owners of websites and blogs, for the most part, aren’t writing to help increase a reader’s knowledge, they are writing to attack advertisers and increased SEO ratings. The Internet rewards Adclick words, not engaging content. That is the real problem. In conclusion, The Shallows provides fascinating research on how the Internet is changing our brains. After reading this book, the reader will understand how the Internet has not only changed the way we read, react and respond to information, but how it has changed the publishing industry and our attention spans. While I agree with Carr (2011) that the Internet has introduced a new normal, unlike Carr I don’t view it as a negative. This isn’t the first time our minds have been remapped to adapt to a new medium of obtaining information. 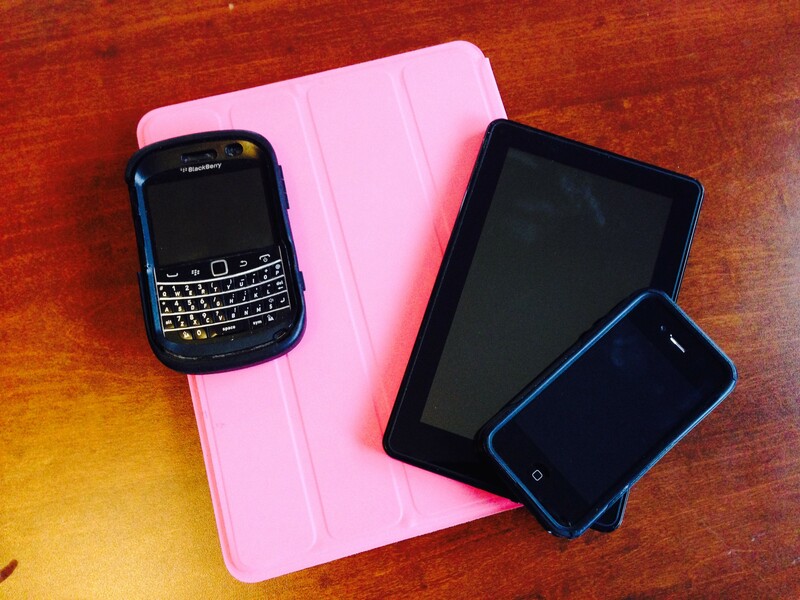 From newspapers to the radio to television to the phone to the Internet, technology is constantly evolving. Think about how much has changed from oral storytelling to the written word to the Gutenberg printing press to the Internet. The way we communicate has changed significantly over the years. Even the way we speak and write has changed dramatically over the years. Try reading a letter from 19th century. It’s difficult to understand because we don’t talk the same today. We have moved to more informal writing over the years. The Internet has guided us to the next step in this direction. Carr admits that from the beginning of time the channel is often debated, with critics decrying it and enthusiasts touting it. I feel that Carr is another one of the critics, decrying new technology and wishing to go back in time. People are often resistant to change, but change enables us to grow. I agree with Carr that the Internet has rewired our brains, and I agree with Carr that the way our brains are rewired has resulted in significant changes in our publishing industry and the way we read and process information, however I don’t think this change is bad. Over the evolution of time we shouldn’t go backwards, but rather move forward. I am excited about the future and the new technologies it will introduce. This isn’t the first time that a technology has changed the way we process information and it won’t be the last. We can have great success embrace this change rather than resist it. Hansen Writing Ball (n.d.) Wikipedia. Retrieved from http://en.wikipedia.org/wiki/Hansen_Writing_Ball#cite_note-3 on May 22, 2014. Ihde, D. (2002). Bodies in Technology. Minneapolis, MN: University of Minnesota Press. Kennedy, R. (n.d.) What Impact Did the Invention of the Printing Press Have on the Spread of Religion? Synonym. Retrieved from http://classroom.synonym.com/impact-did-invention-printing-press-spread-religion-6617.html on May 24, 2014. Reid, M.B. and Li, Y.P, (2001). Cytokines and oxidative signaling in skeletal muscle. Acta Physiologica Scandinavica. 171(3), 225-232. Whipps, H. (2008, May 26). How Gutenberg Changed the World. Livescience. Retrieved from http://www.livescience.com/2569-gutenberg-changed-world.html.